There is power in Groups! FC Groups are designed to help you along in your journey to learn more about God as well as helping you get to know others. Some of the best friendships inside this church were spurned by getting together in a group. We are all about finding a community of people that will walk alongside you and meet you where you are at. They will also encourage you and constantly help you become the person God wants you to be. We know it can be a little unnerving signing up for your first one but we think the benefits are life-changing! Sign up HERE or below and a leader will be in touch with you to answer any questions. All groups meet at FC unless otherwise indicated. Coed Group 7:00PM Cobalt - Jon and Christine Gustavson *DINNER included! Join us at Fellowship Church in the Auditorium on Monday evenings from 6:30-7:30 for this couple's group. Great relationships take investing; in each other and most importantly in our relationship with God. This is also a great opportunity to meet other couples at FC. FREE Childcare. As a church who has offered this group for many years, we have seen thousands and thousands of dollars saved each semester. This group will watch a video each week then discuss how to best apply it to our lives. This group requires a kit to get started. You will get this info upon signing up. Meets every Monday from 6:30PM to 8:30PM at FC downstairs in our Momentum Room. FREE Childcare. Join other 18-25 year old men and women to discuss Sunday’s message further. Learn from other young adults on how to live a life for God in a world that seems to be going in the other direction. Monday 6:30PM downstairs at FC in The Sound (Children’s area). Trying to remain healthy spiritual and physically seems daunting at times. Too many of us try to of it alone, without God and without friends. This 10 week group will be an encouragement to you as we progress together to attain goals and better ourselves. This group will meet Tuesdays at 6:30PM in the Momentum Room. Opening our eyes and our hearts, living in AWE of the One who made us. Realizing that God is enough, so we are enough. Join other ladies to discuss the vastness and uncomprehending enormity of God. This group will meet each Tuesday 7:00PM in Middletown. So, now what? What next? What does it look like to actively live in the love of Jesus today? What about our pain, trials, and troubles? How do we navigate through today's world using Christ's love instead of following our feelings? Join this group as we hunt through the words of Peter, one of Jesus's best friends and disciples: a simple fisherman who society spurned and ignored, but upon whom Christ built his church. Bring your pain, questions, frustrations, fears, struggles -- and let's get real! 6:30PM Perk on Main in Middletown. This Coed group will meet on Wednesdays 6:30PM in Colchester. This study explores the crucial moments in the lives of 5 Old Testament figures- Esther, Gideon, Malachi, Nehemiah, and Hosea. Through their stories, discover how God uses the lives of ordinary people for His glory and the good of His people. Strengthen your faith as you walk alongside these larger-than-life figures who all chose to obey God no matter the circumstances. Video Teaching. FREE Childcare. A ministry for moms of all ages, that provides love, support and the opportunity for friendship to women with the extremely difficult and important job of motherhood. We will meet each Thursday from 9:30am to 11:30pm for breakfast, fellowship and parenting book studies. FREE Childcare. This semester, we are studying the book, by John Bevere, called "God Where Are You?". The book teaches about 'the wilderness journey', a period where every Christian man goes through or will go through in his life. Using examples from the Bible, you will understand the 'wilderness journey' what it means in our walk, and how to avoid being in the wilderness longer than we need to be. The group will work through common misconceptions of this wilderness journey and understand that being in the wilderness is not due to something we have done or that we've angered God. This will be important for you in your faith walk, and help you on your walk as a Christian man. This group meets every Thursday evening 6:30PM at FC in the Kidz Club. There is an option to gather at 6:00PM to share concerns and pray. Do you wake up every morning with the crow of a chatterbox in your head? The type of thoughts that the chatterbox keeps repeating can derail your whole day. “Who am I kidding?” “Why would they like me?” The voice you listen to will determine the future you experience. Learn how to silence the lies and embrace the freeing affirmation of God. Learn how to live out God’s truth no matter what is going on in your life or your thoughts. Learn how to crash the chatterbox and hear God’s voice above all others. Join others each Thursday at 6:30PM in Middletown for this Coed Group to discuss ways to hear God’s voice above all others. Join other women each Friday evening 6:45PM at FC in the Atrium to learn more about the book of Galatians. Paul writes, “I have been crucified with Christ and I no longer live, but Christ lives in me." Our journey in following Christ begins with taking our attention off of ourselves. In this in depth study of Galatians, you will learn how to truly follow Him. Every week the topic of this Men's group will rotate – relationships, money, fear, drinking/drugs, pushing beyond our comfort zone, etc. This group will study and identify Biblical passages that are pertinent to that week’s topic. This group meets every Friday morning 6:45AM at FC in the Care and Prayer Room. Join us right after Sunday’s message to dive deeper and discuss what we learned. Sunday service contains rows listening to a message. 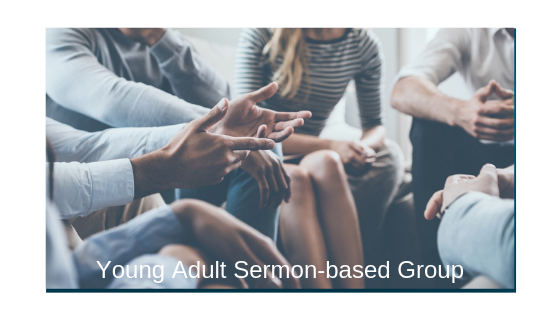 FC Sermon-based Groups contain circles discussing what we learned on Sunday! This group meets after our 2nd service at 11:45AM for 1 hour. We will provide snacks and FREE CHILDCARE. Deepen your connection with God, His church, and your purpose. This group is a catalyst for life-change. This time together will consist of daily devotion, prayer, freedom from strongholds, sacrificial giving, serving the community and sharing your story. This is a must for everyone who attends a church. This group teaches the real basics of our faith and you will leave different!This group is located in Wethersfield where food is provided/potlucked. The groups starts at 5:00PM and ends around 7:30PM.